Volga Bolgaria concluded a peace treaty with Kievan Rus in 985 in which the parties pledged: "Not even when a stone floats and hops sink in water will we break this treaty...". Referring to this accord, L. N. Gumilyov, the eminent Russian historian and Turkic scholar, wrote: "Despite the fact that the Slavs had accepted the Christian faith and the (Volga) Turkic people remained Muslim, good relations between the peoples existed for almost two hundred and fifty years, right up to the crushing defeat inflicted by Batu Khan." The twilight of Volga Bolgaria began in 1236, when its great trading towns were destroyed by the invasion of Batu Khan, grandson of Genghis Khan, and the country became a part of the territory of the Golden Horde. Having warded off the first onslaught of the troops of Genghis Khan in 1223, the state of the Volga Bolgars fell, like many others, in the struggle against the foreign aggressors, those same notorious "Tatars" of the Russian and west European chronicles. Around the middle of the thirteenth century, the population of Volga Bolgaria, afflicted by invasions, plague and drought, began shifting to the north of their country, settling in some places that had long been inhabited. 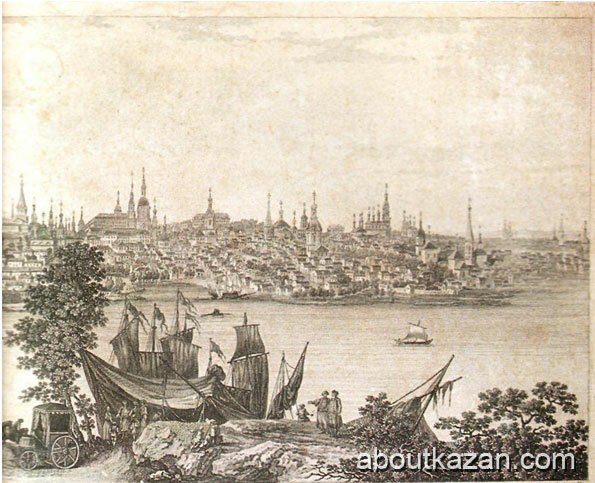 One of these was the small frontier town on the River Kazanka named Bolgar-el-Dzhadid (New Bolgar) or Kazan, which in Tatar means "cauldron" . According to a popular legend, one of the khans dropped a cauldron in the river here, hence the name "the place of the cauldron". The Tatar historian Sh. Mardzhani suggests that the name of the city could come from the name of the River Kazanka or from the fact that the hill on which the Kazan Kremlin stands is reminiscent of an upturned cauldron. 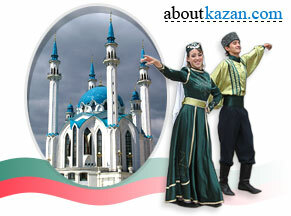 In either case, the name is appropriate in view of the seething history of Kazan city. The Bolgar state was finally destroyed in 1415 by the troops of Prince Fyodor Pestroy, and in 1436 Kazan city became the capital of the Kazan Khanate. This was a powerful state within the former boundaries of Volga Bolgaria, inheriting from it the farming and trading population, the folk and intellectual culture, the achievements of science, literature and philosophy. Kazan city, located in an exceptionally favourable position that gave it control over all the trade on the Volga river, soon became a powerful economic and political rival of Moscow city.